Something happens to melted chocolate when it is mixed with sour cream – some might call it pure bliss. Chilled it can be molded in balls and rolled in cocoa powder to make truffles and when it is at room temperature it makes a dandy frosting for whatever cake you please. This recipe makes about two cups – enough to frost two dozen cupcakes and several truffles. It also keeps well in the refrigerator and can be eaten by the spoonful.. Do remember the better the quality of chocolate, the better the end results. 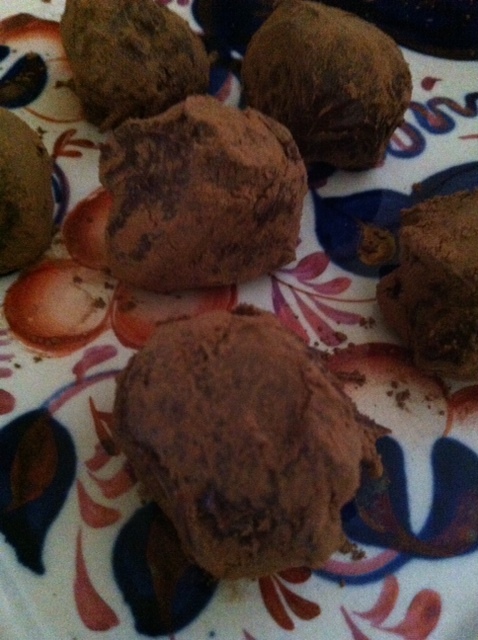 This entry was posted in Recipes and tagged chocolate, dessert, frosting, truffles. Bookmark the permalink.